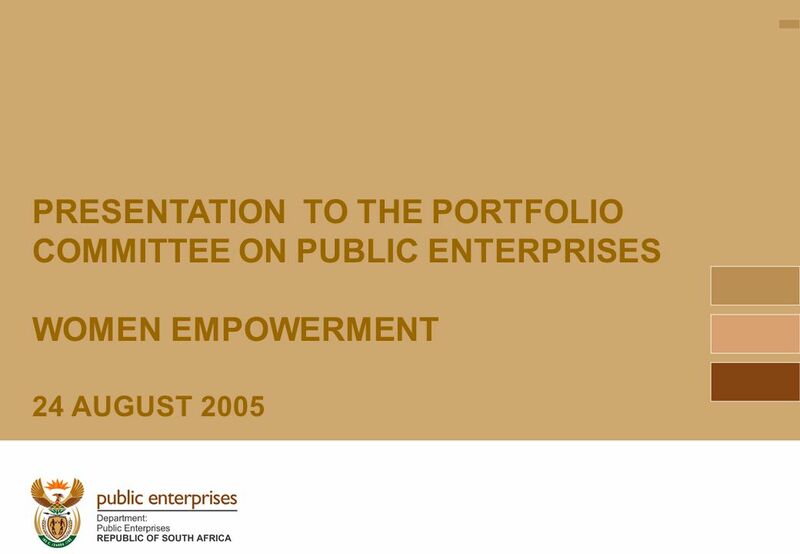 1 PRESENTATION TO THE PORTFOLIO COMMITTEE ON PUBLIC ENTERPRISES WOMEN EMPOWERMENT 24 AUGUST 2005. 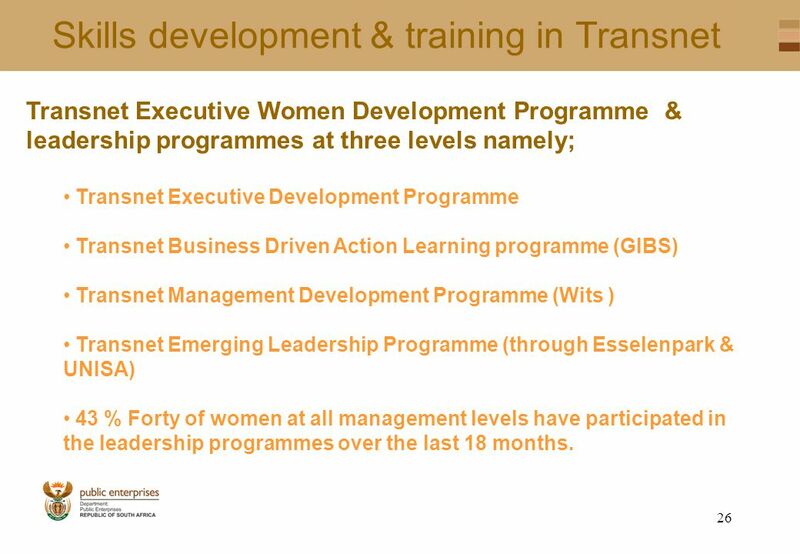 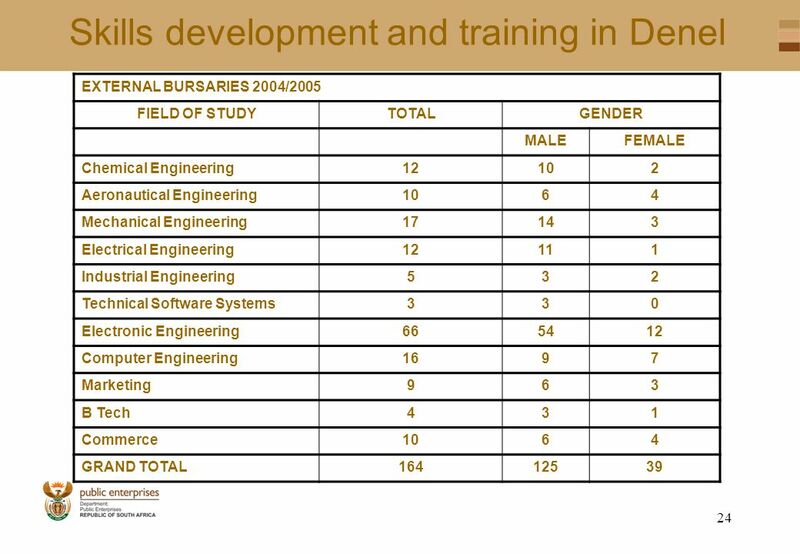 27 26 Skills development & training in Transnet Transnet Executive Women Development Programme & leadership programmes at three levels namely; Transnet Executive Development Programme Transnet Business Driven Action Learning programme (GIBS) Transnet Management Development Programme (Wits ) Transnet Emerging Leadership Programme (through Esselenpark & UNISA) 43 % Forty of women at all management levels have participated in the leadership programmes over the last 18 months. 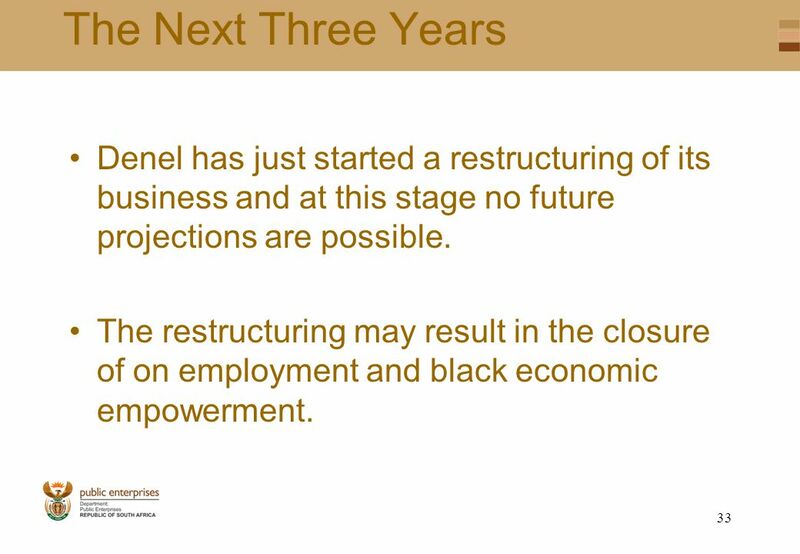 34 33 The Next Three Years Denel has just started a restructuring of its business and at this stage no future projections are possible. 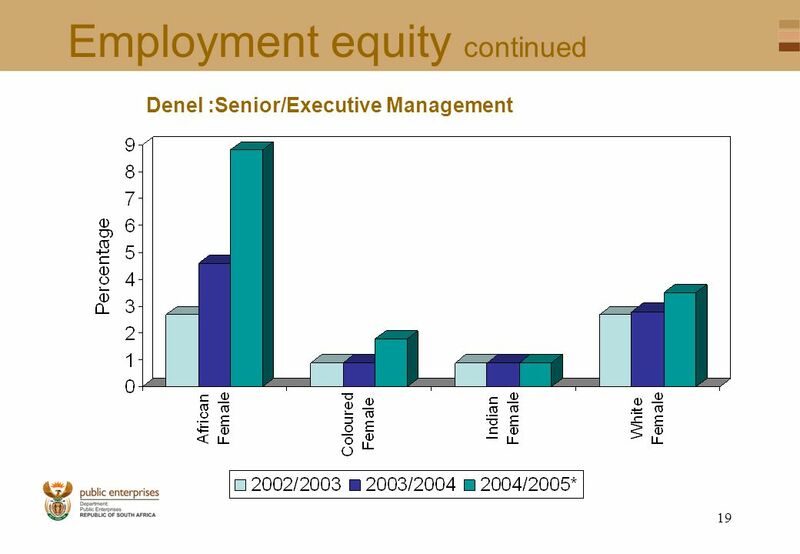 The restructuring may result in the closure of on employment and black economic empowerment. 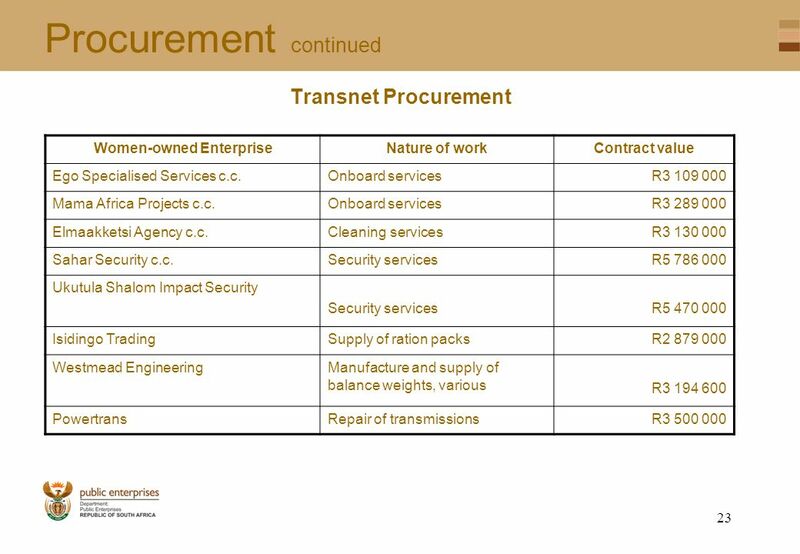 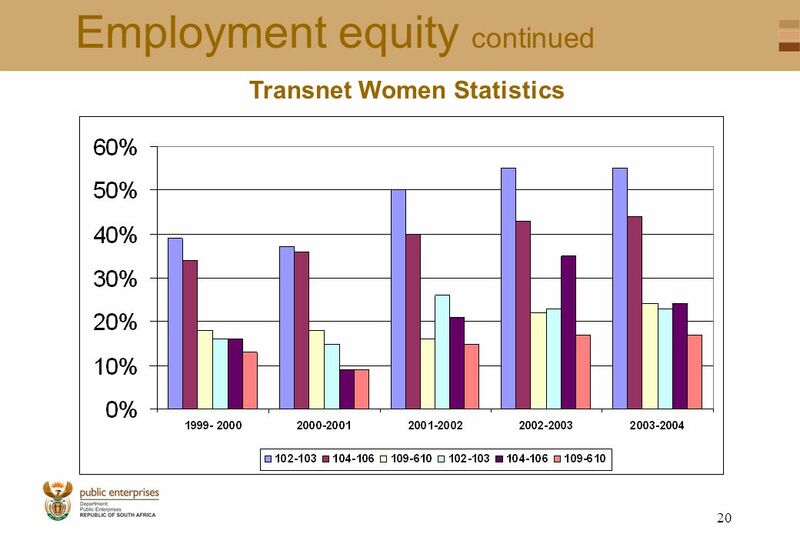 38 37 The Next Three Years In view of the restructuring process within Transnet, the employment equity targets are currently being reviewed. 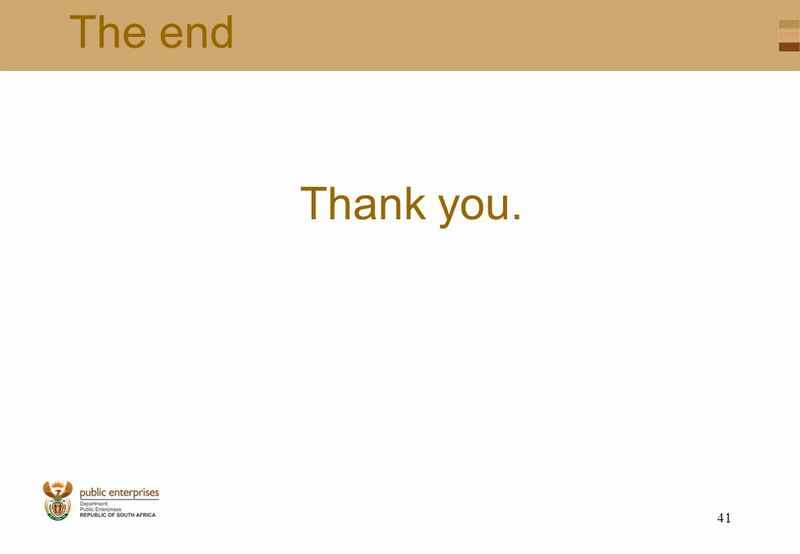 42 41 The end Thank you. 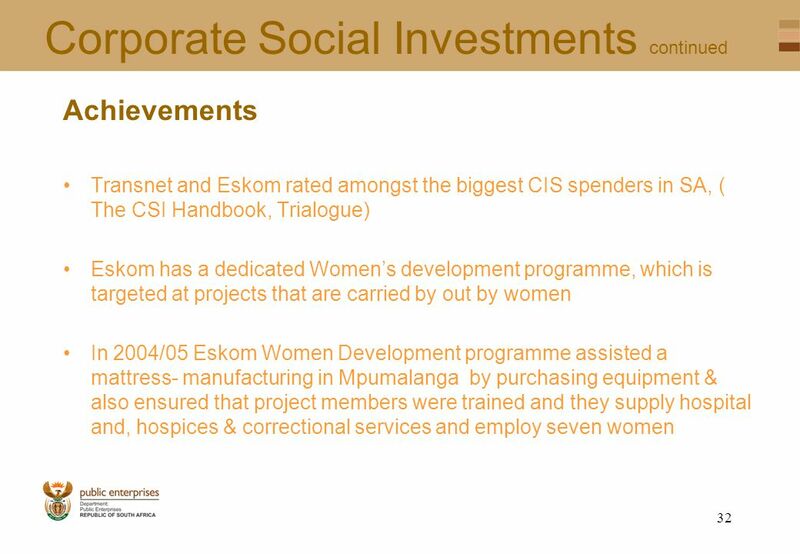 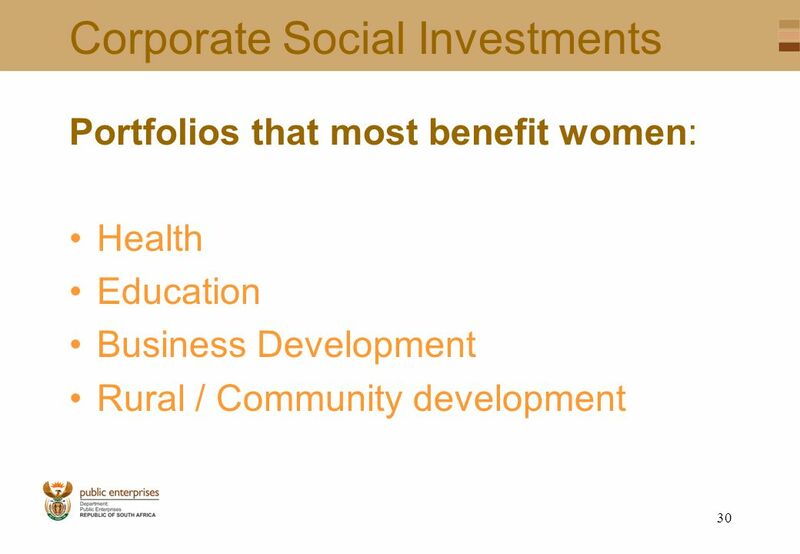 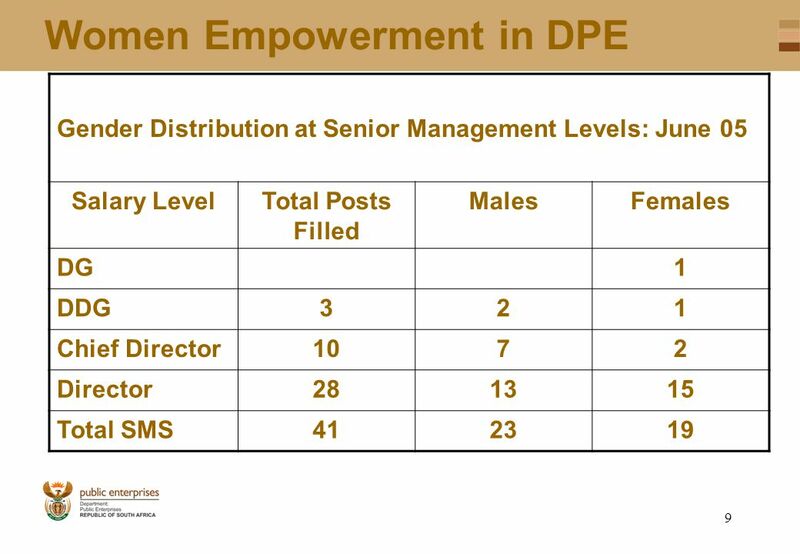 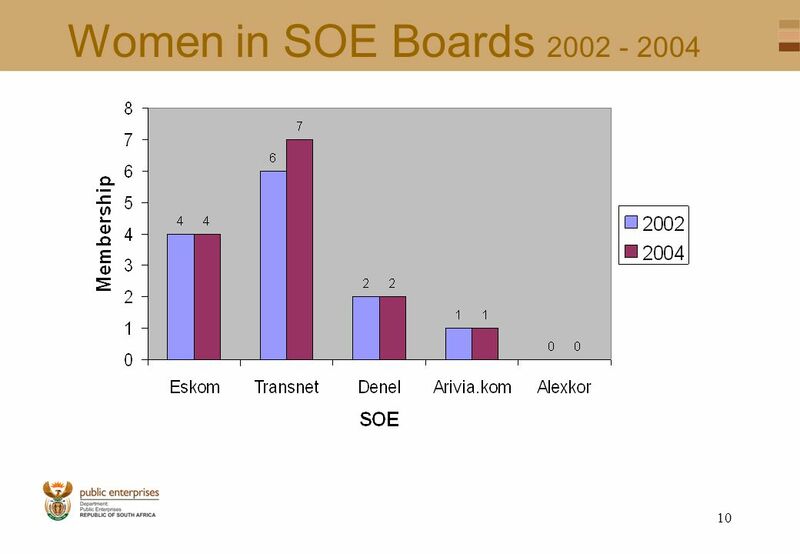 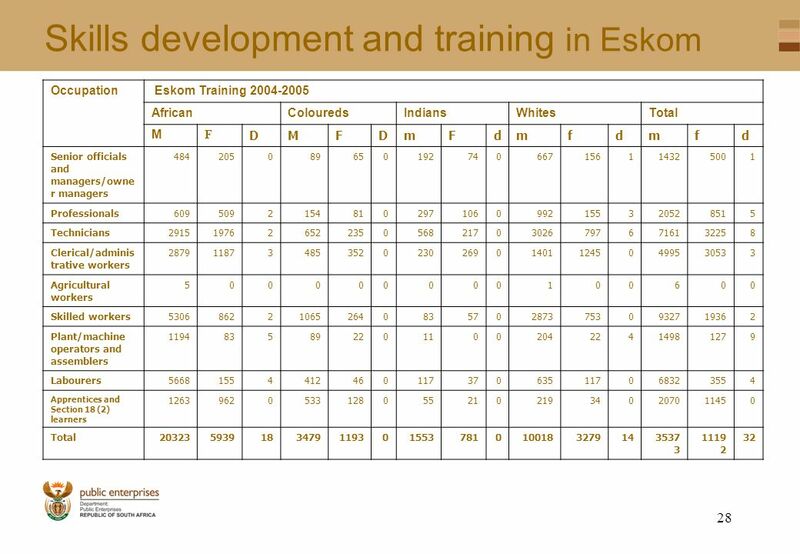 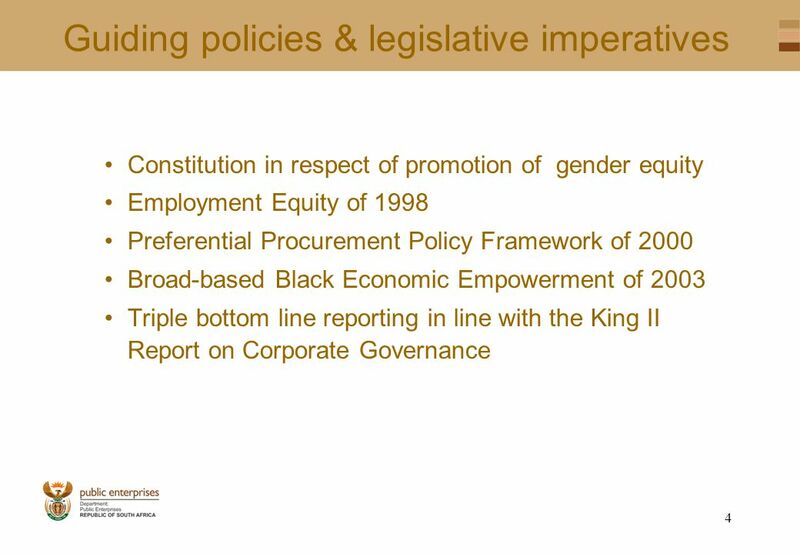 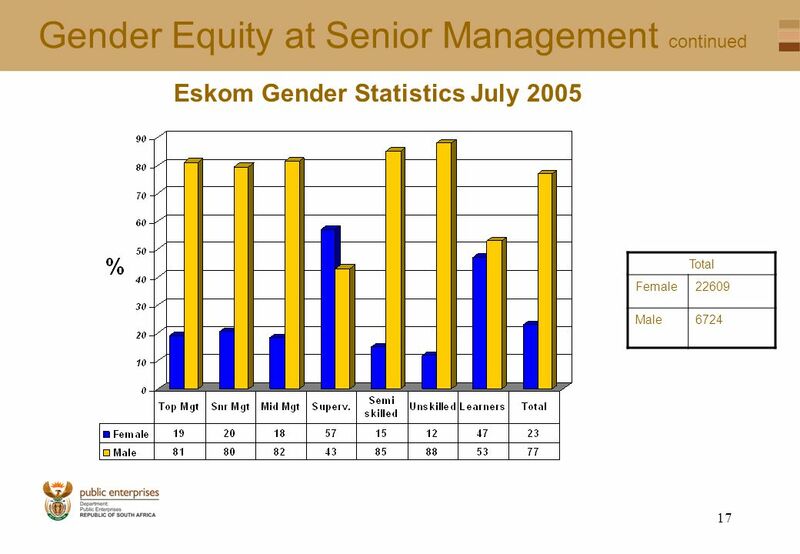 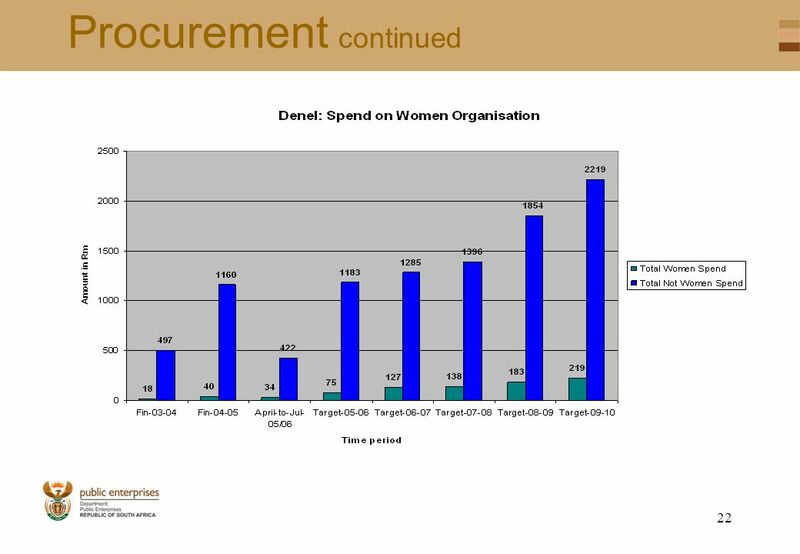 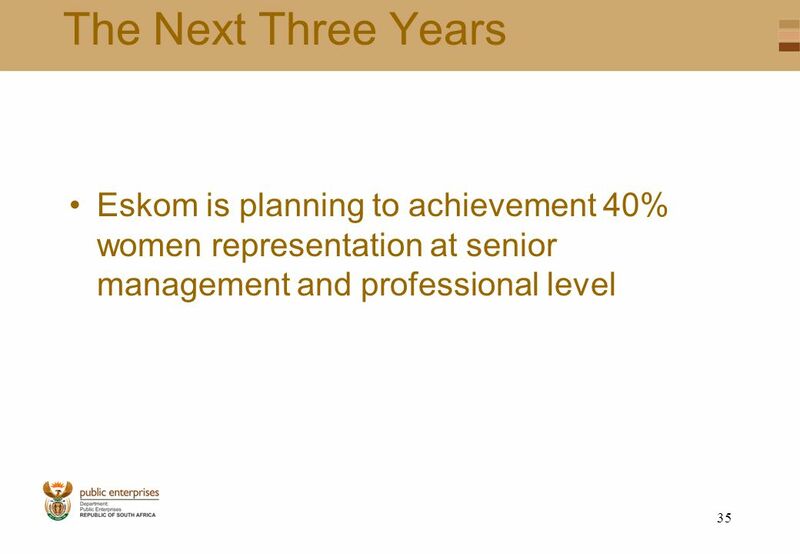 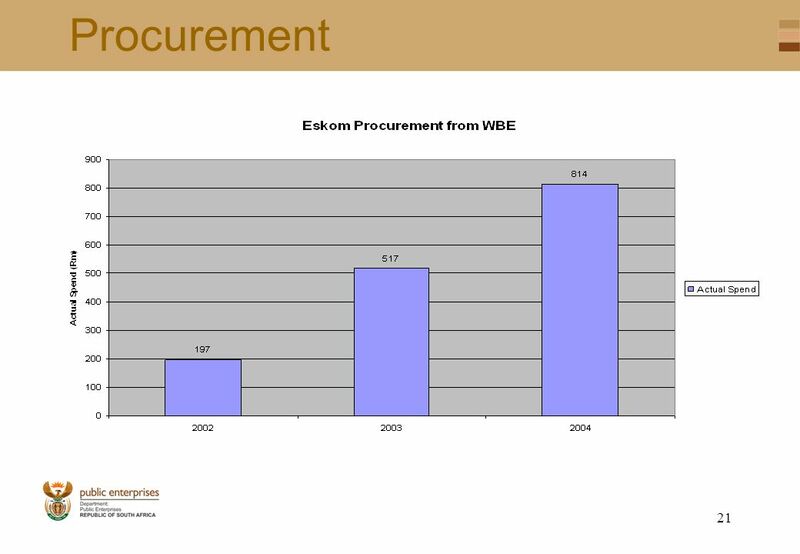 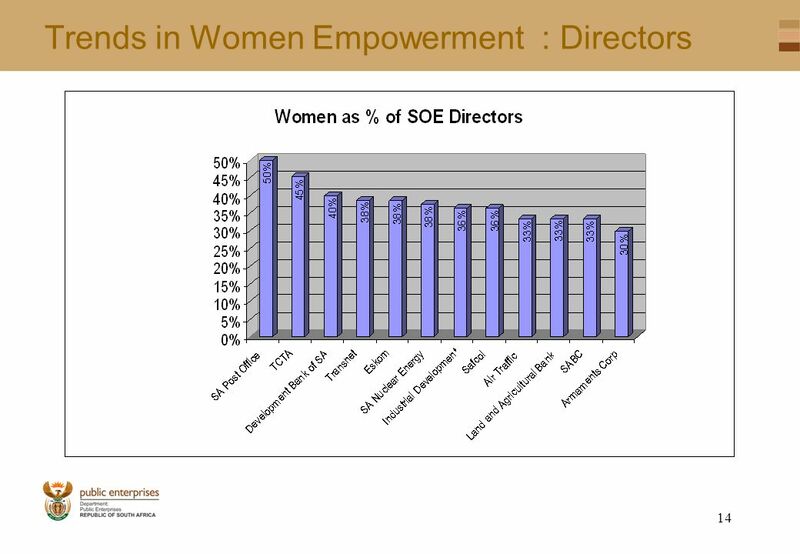 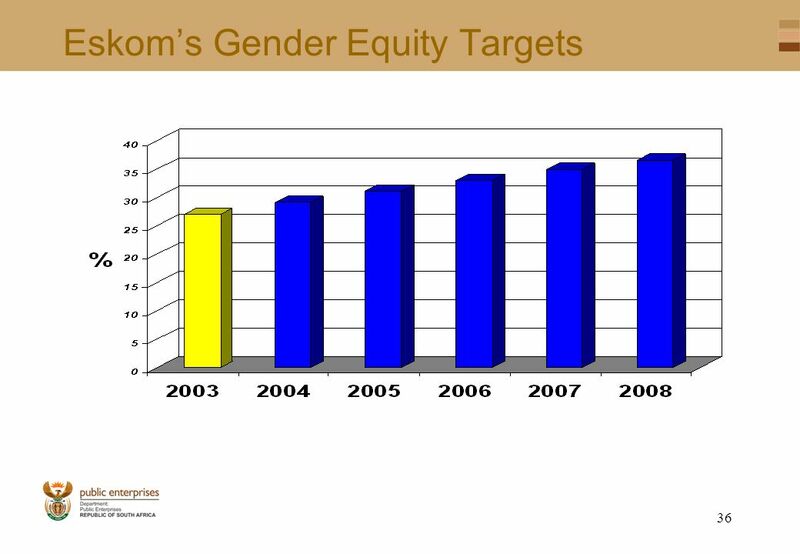 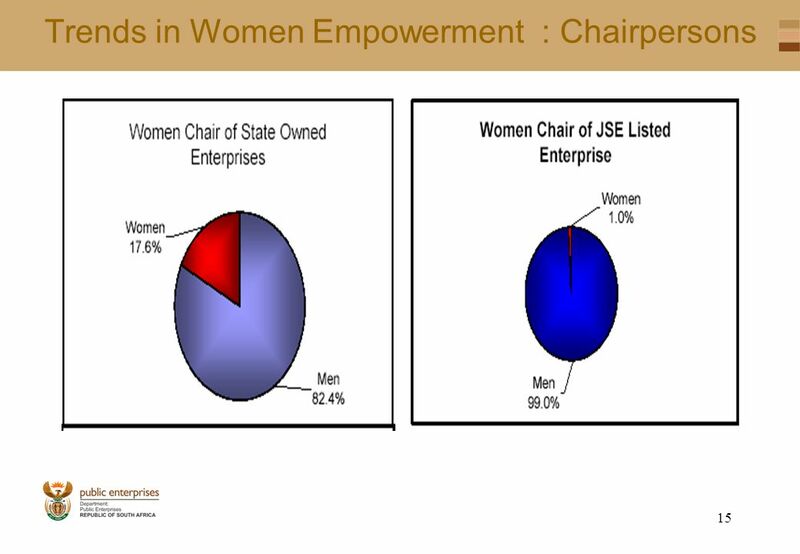 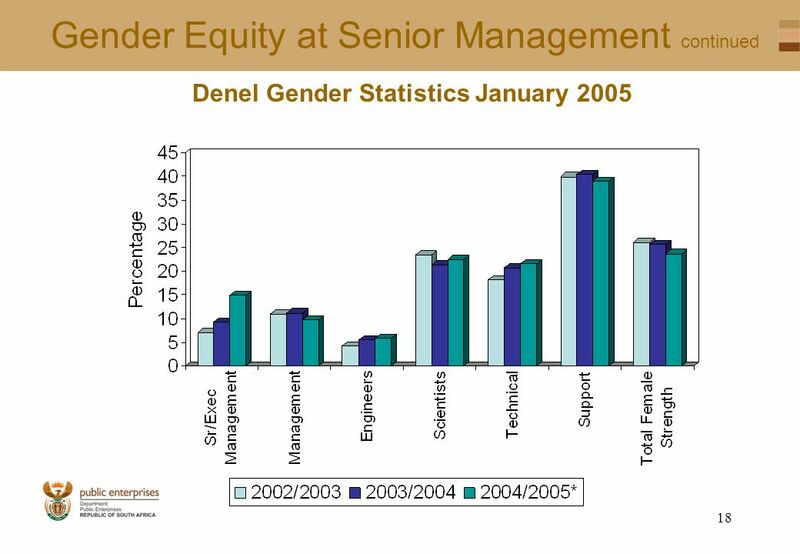 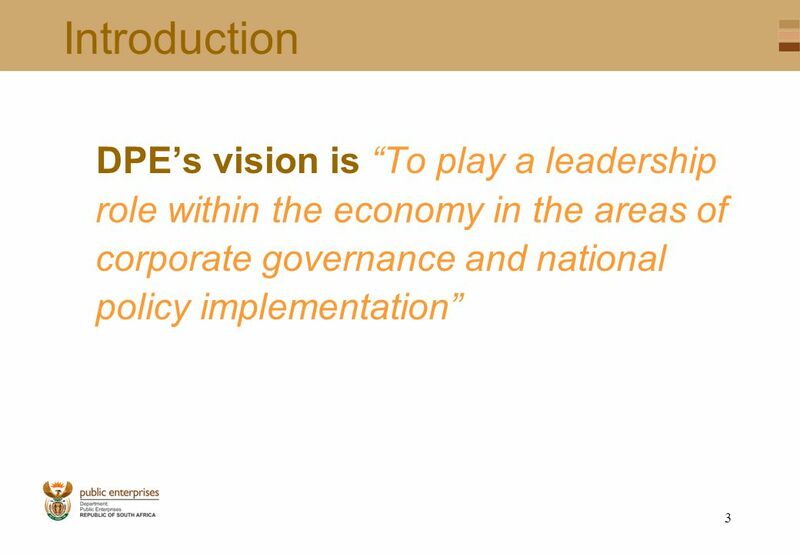 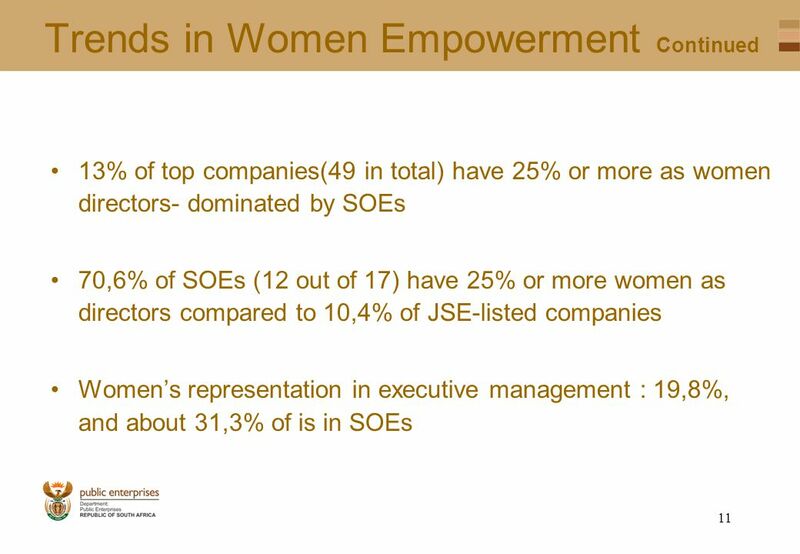 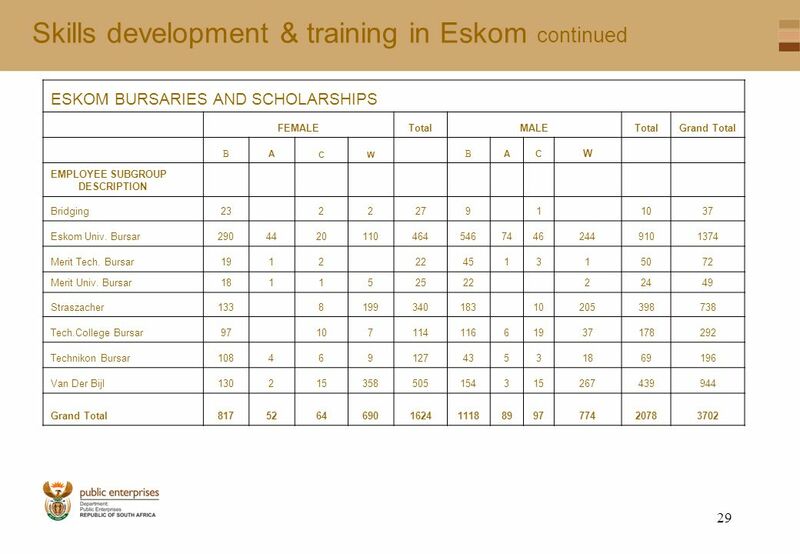 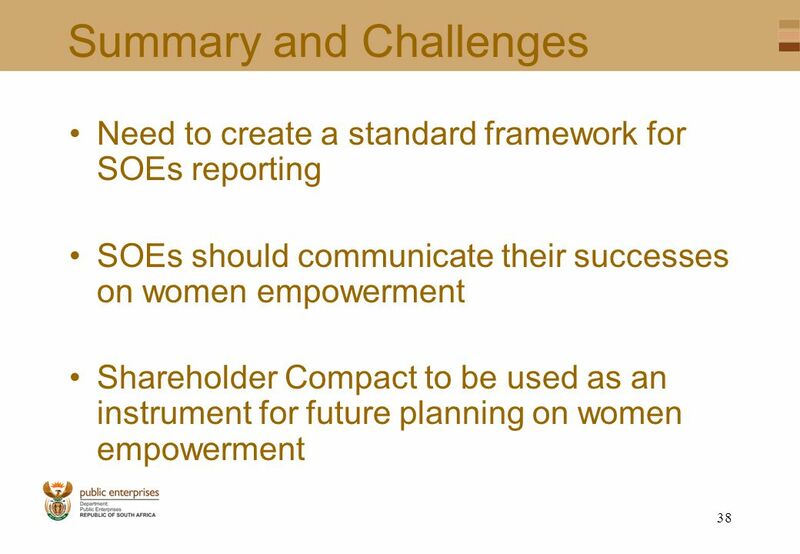 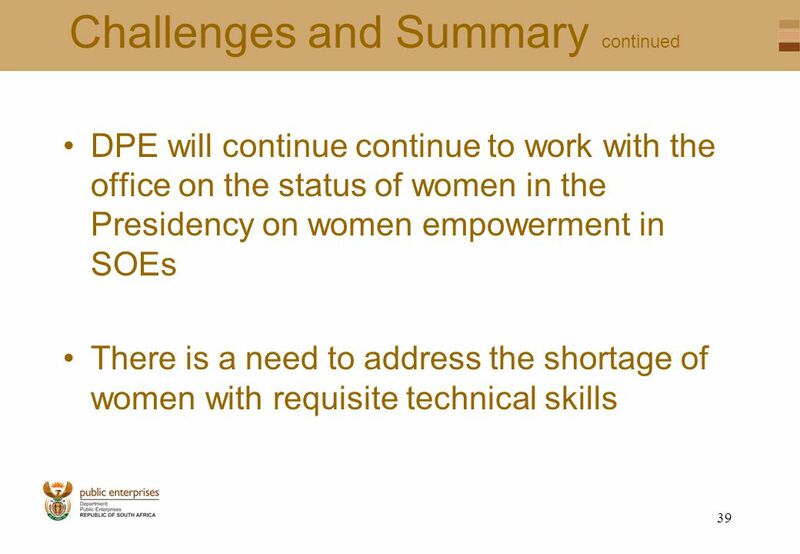 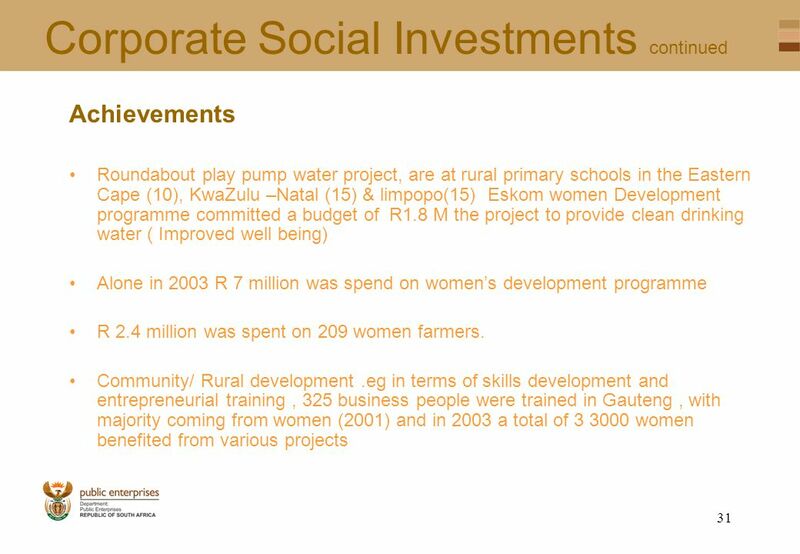 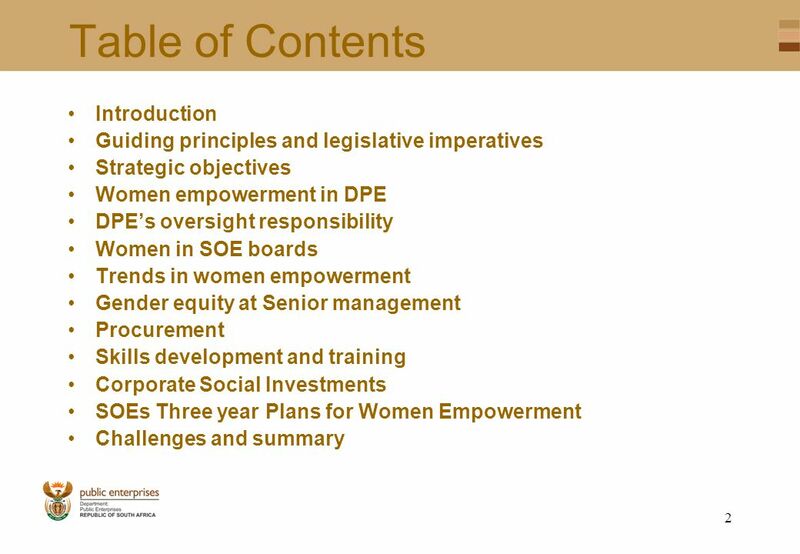 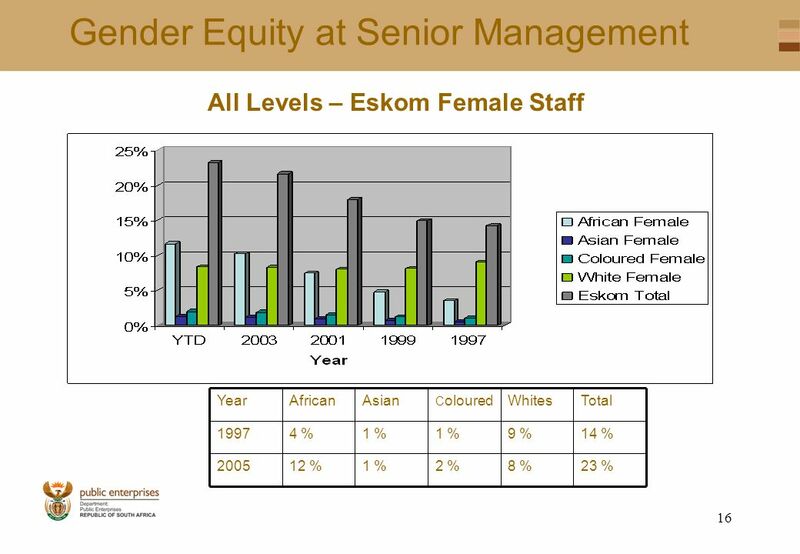 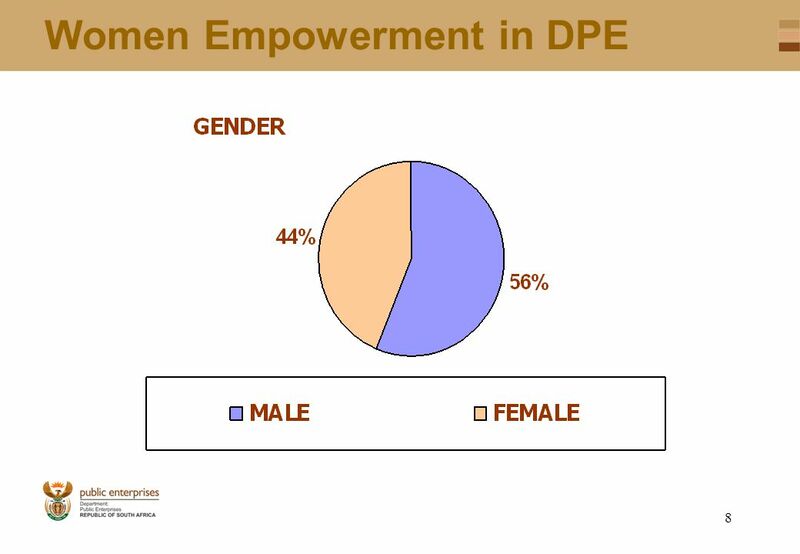 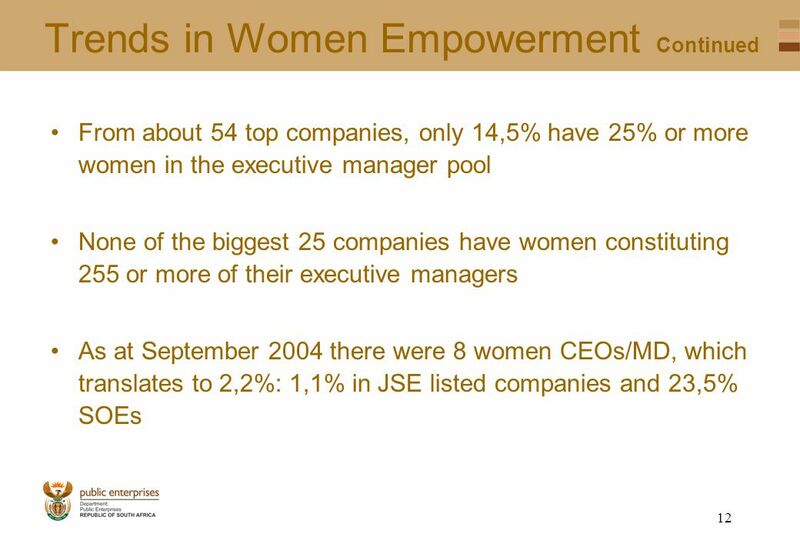 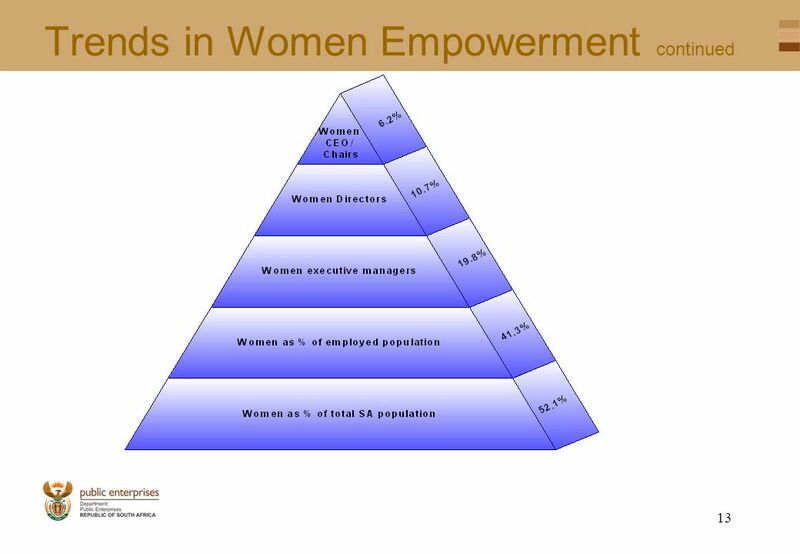 Download ppt "1 PRESENTATION TO THE PORTFOLIO COMMITTEE ON PUBLIC ENTERPRISES WOMEN EMPOWERMENT 24 AUGUST 2005." 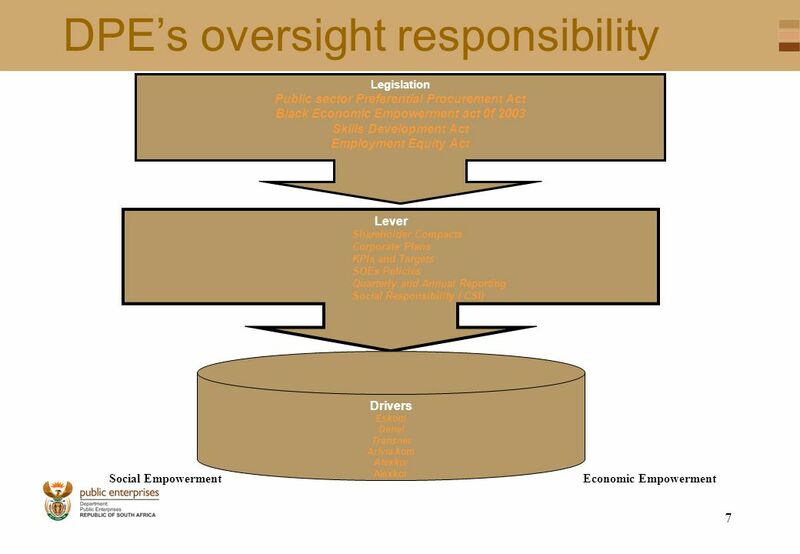 CONTROL VISION Set-up. 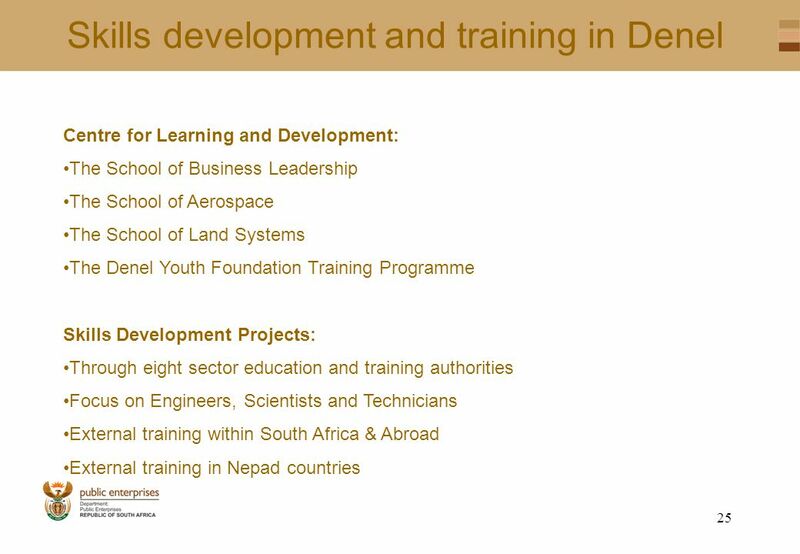 Step 1 Step 2 Step 3 Step 5 Step 4.